A huge part of minimalist simple living is recognizing that we truly do have more than we need and the incredible privilege we have to share with others. Simple living often comes from turning the focus outward on how we can help others. Today is the anniversary of 9-11. It was a day of chaos and fear, but it also was a day that really pulled people together. I just found out about this awesome idea on KLove and I wanted to share it with you. I have posted about World Vision before but I just can’t help myself. I have posted a bunch about child sponsorship lately as well. But I had such a great experience …I have to talk about it again. Last weekend I had the privilege of helping at the World Vision booth at a Big Daddy Weave concert. I have wanted to help before but never got the chance. It was so amazing! I wish I could sponsor hundreds of kids but I can’t right now. Instead I got to be part of a whole group of people choosing their kids and starting sponsorship. Right in front of me was the beginning of lives and communities being changed. I wanted to share two different things with you. Goodwill is one of my favorite places. The process sometimes takes more patience than I would like, but it is the benefits I love. 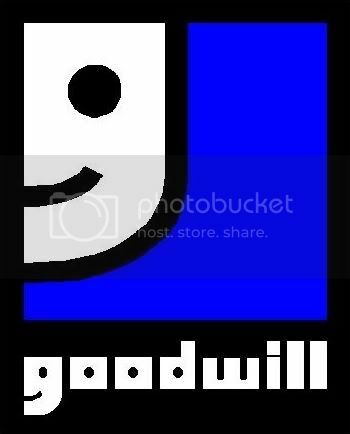 For those of you not living in the USA or Canada Goodwill is a second hand store. Mainly clothing but also all household items and furniture. Well, that is what I thought it was, but they are so much more. Can a person make a difference? Absolutely! We see it all the time. But we don’t always see this. What about creating a for-profit business to support a charity idea? Something that relies on retail and sales instead of donations and uses that money for good. TOMS Shoes and Eyewear does that!